Manage your projects more productively and profitably. Dynamics 365 for Project Service Automation enables the delivery of projects on time and within budget. Use intelligent tools to provide accurate estimates, optimise resources, and deliver reliably to customer expectations. 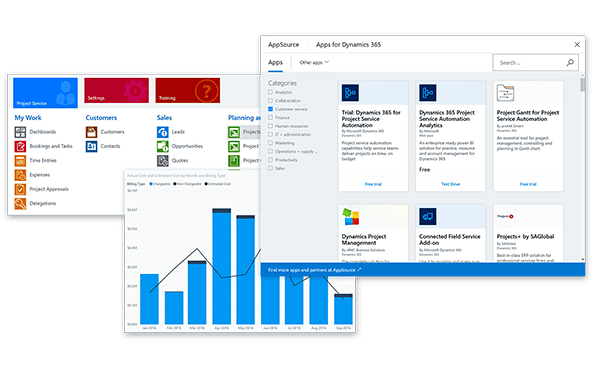 Dynamics 365 for Project Service Automation helps teams work efficiently and generates the insights to remain agile, stay competitive, and grow profitably. Improve planning from estimation to completion with a streamlined platform that allows development of repeatable service models for on-time, on-budget projects. Keep utilisation optimal by accurately forecasting demand and ensuring the best resources are on the right projects. 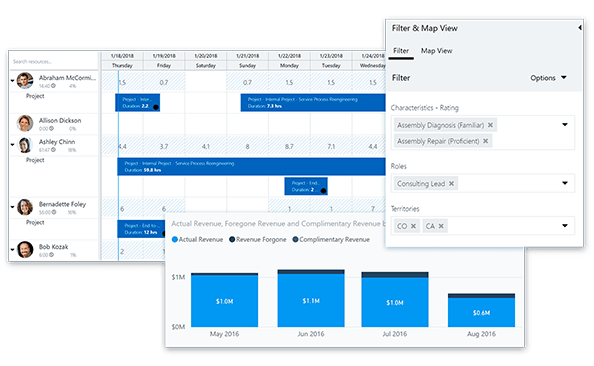 Get the most out of billable resources using a unified scheduling engine with real-time resource visibility. Take advantage of Office integration to encourage collaboration across project teams. Streamline the management of critical key performance indicators to respond quickly to scope changes and project risks. Take advantage of a secure portal to collaborate directly with customers on quotes, project scope, and resource requirements. Ensure a single view of the business with a unified system of engagement and native Microsoft Project integration. 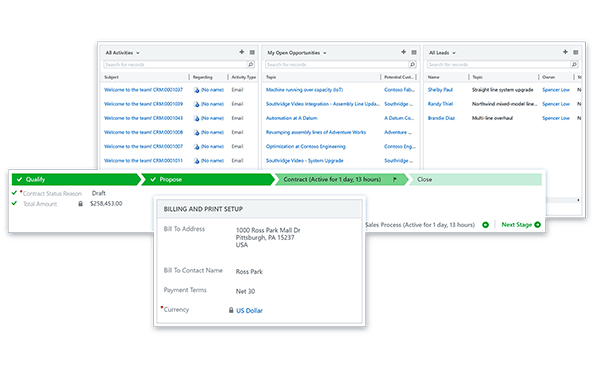 Collaborate seamlessly with sales by creating project contracts, tracking labour rates, and generating statements of work directly within Dynamics 365 for Sales. Generate actionable insights with artificial intelligence tools and guide your teams to optimal outcomes. If you're considering Microsoft Dynamics 365 for Project Service Automation, or just want more information, we're happy to answer all your questions.